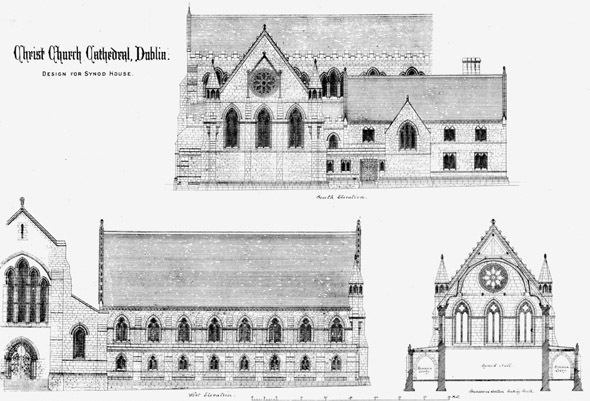 George Edmund Street was commissioned by the distiller Henry Roe to restore Christ Church Cathedral which was in very poor shape. There are remains in the grounds of a chapter house dating from the time it was a monastery church and the original long choir was removed in the 1870s by Street. As part of the design process, he produced this concept for a new Synod House alongside the cathedral. 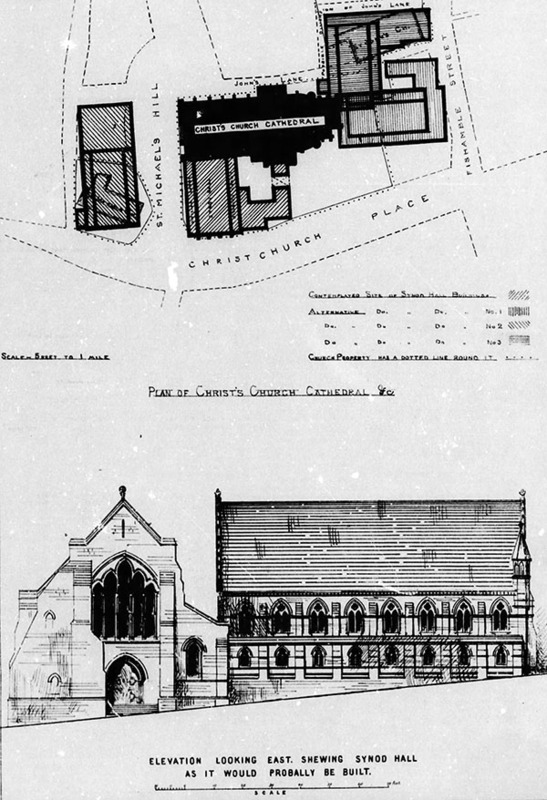 Never constructed, it was decided instead to create a new synod hall around St. Michael’s Church and connected to the cathedral by the picturesque stone covered passageway across Winetavern Street.